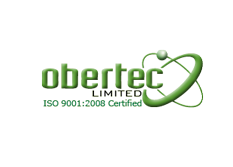 Obertec Ltd is a complete vibratory finishing company, offering a range of finishing methods and solutions. Its capabilities include sandblasting, a process used to clean or finish surfaces using a tool to shoot out pressurized sand or other abrasive material at high speeds. Sandblasting has the capability to effectively clean dirt and debris, or grind rust, paint and corrosion from surfaces for a smooth finish. For the most efficient performance, when the abrasive in the machine has broken down too much, the entire load should be replaced. Adding new material to the old load greatly reduces the performance of the abrasive and increases the amount of dust. Sandblasting is applied to surfaces prior to finishing, and is generally used to replace sanding, wire brushing and pickling. 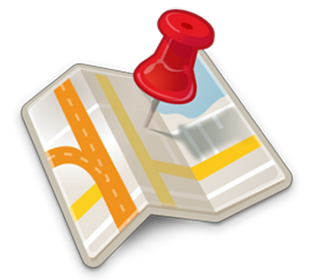 Typically, no other cleaning is necessary because the blasted surface is chemically and mechanically cleaned. The result is significant time savings — up to 75 per cent faster than hand cleaning. Blasting is considered economical because abrasives are relatively inexpensive, and they can be reused. In addition, fewer man-hours are required to clean and finish parts, and the process offers high productivity per hour per dollar of equipment. Many types of finishes can be obtained using sandblasting. The finishing effect will vary depending on the hardness of the abrasive, abrasive particle size, velocity of the abrasive stream, angle of the abrasive gun, and distance from the work, as well as method of application and workflow. A large variety of abrasives can be used, depending on the desired effect, from aluminum oxide, plastic abrasives and corn cob grit to glass beads, silicon carbide and more. For example, glass beads can be used to texturize, descale or remove light burrs and die-cast flash for a smooth, bright satin finish, while abrasive grits are used for more aggressive work, leaving a dull satin finish. To learn more about sandblasting options and advantages, contact Obertec Ltd.